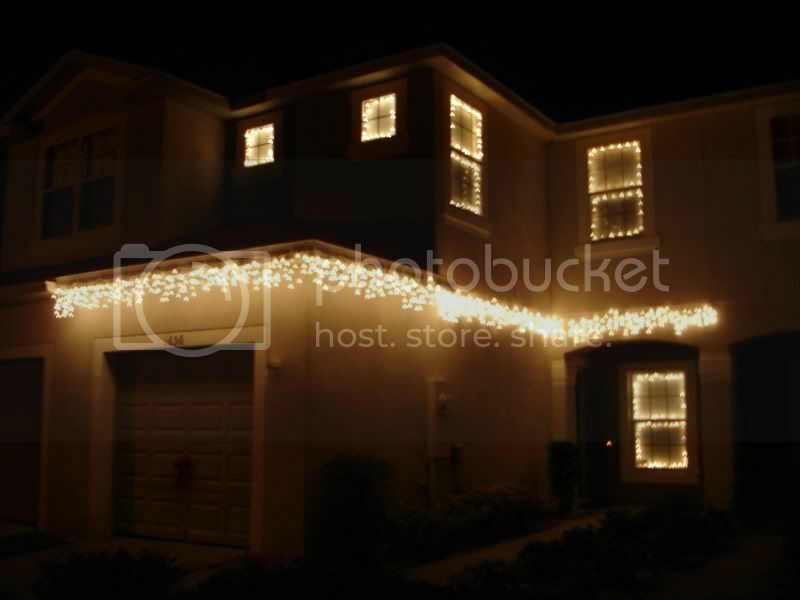 So I broke down and decided to put up some exterior lights on my house this year. 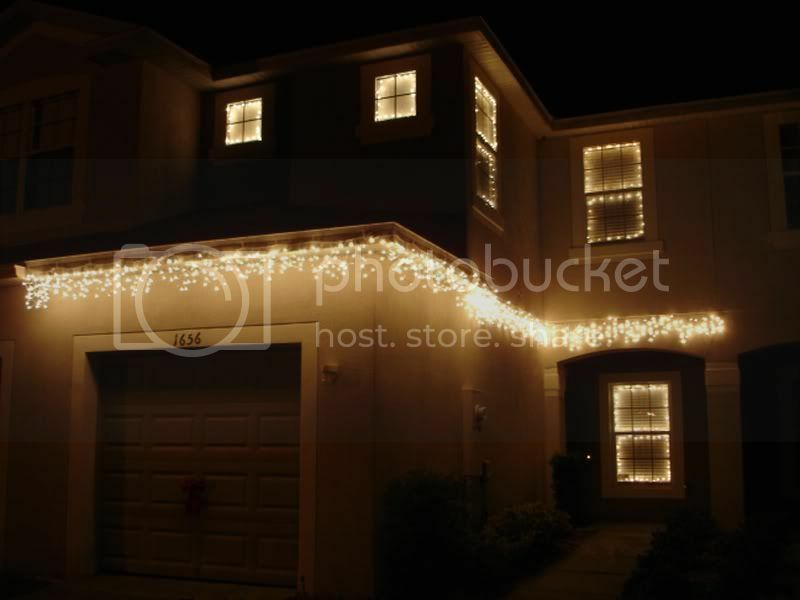 The year before last, I had some displayed on two windows inside, and even put up my feeble 6 ft. pre-lit Christmas tree - but I skipped everything last year. Just didn't feel like it was worth the hassle, since I spent Christmas Eve at my uncle's place in Clermont with a bunch of cousins and extended family, and then was over at my folks' house all Christmas Day. And here are a couple of the tree. 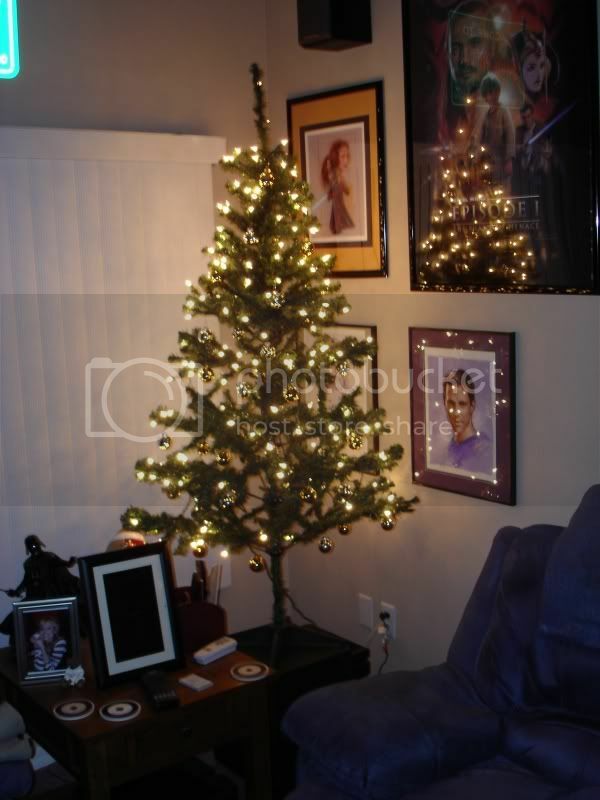 Only extras I added to the pre-lit branches were some silver and gold metallic ornaments. I may get a small star for it, too. Keep it simple, I say - makes for faster and easier cleanup later. That's probably the extent of my decorating, since, again, I'll be with other family during the actual celebrating and gifting and stuff. But hey - at least it's something. And I don't feel like such a grinch. And one of these days - soon, probably after Christmas - I'm gonna get some good snapshots of all the fandom-related posters, prints, and other art that adorn all the walls and shelves of my house, and make an entry just for those. Believe me when I say the volume of "stuff" I've accumulated, geek-wise, scares even me sometimes. Lovely! I have no decorations up yet. May manage some the weekend before Xmas, but that'd be it. Your lights make me smile. From what I can gather, your life schedule has been a little... hectic... to say the least, so your lack of decorations so far can be expected and forgiven, lol. Your lights make me smile. The appreciation is noted, in spite of your Scrooge-like demeanor. Which, of course, I understand. This just isn't your "fun time" season. Oh, and FYI - your package should be in my outgoing mail today or tomorrow. Thanks and FYI, I ordered your direct shipped to you gift was ordered this morning and should be coming in the mail before the end of next week. So you see a mystery box from NBC.com and you'll know it's from me. And I too will be spending the holiday at relatives house so I didn't want to Scrooge this year. LOL at the Mini Pirates Tree. Now I know who buys those figures - I was wondering a bit. Yeah that was me too last year and the year before that. Just now feeling like getting stuff up. Small stuff that it is. The Palace looks Faboooo! 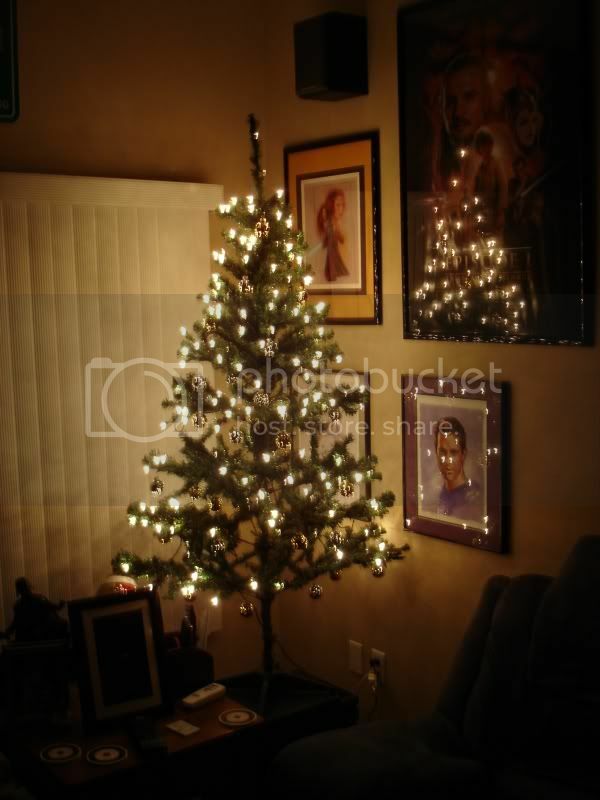 Its perfect in a decorating-as- little-as-humanly-possible sort of way. Kidding. But waaaaaaaaaaaaay better than my no attempt whatsoever. Calvin wanted to get a tree for our first actually married Christmas together but then Calvin doesnt want to put away the mess from our first actually married Christmas together so I said a very nice, very flo like, hell no. So yeah. The closest I'm getting to decorations is these pictures right here. The closest I'm getting to decorations is these pictures right here. S'okay. I wasn't so keen on putting anything up either, until after I got on the roof of my folks' house and did most of their outside stuff the Saturday after Thanksgiving. Then I figured it was easy enough to do what you see above - and it makes me feel less Grinch-ified, I think.